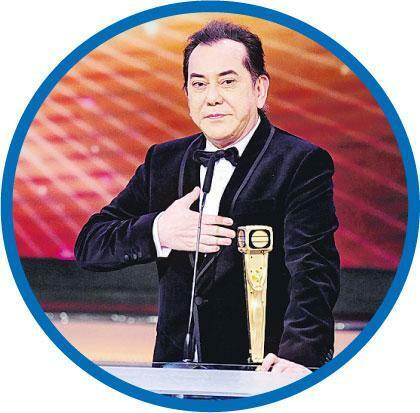 Anthony Wong has won Best Actor in film and stage. With the television Best Actor award his next goal may be the Oscars. 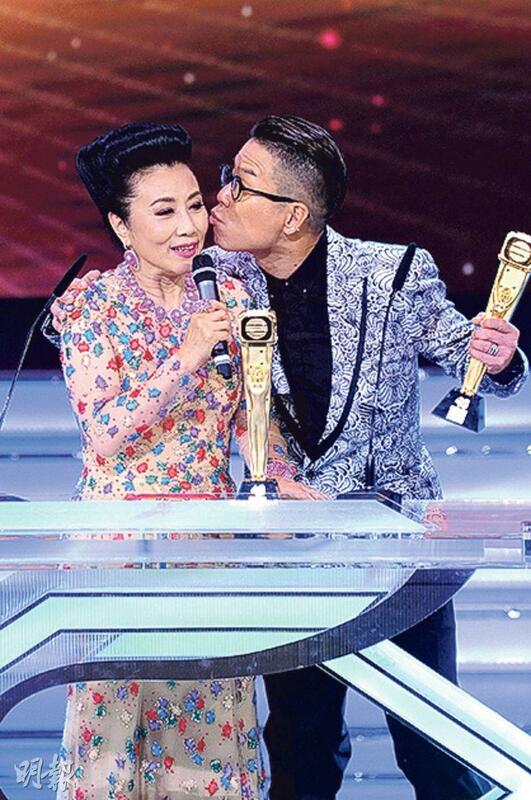 Liza Wang complains about Adam Cheng's absence when they win Best Hosts. Jerry Lamb kisses her to make up for it. Nat Chan: "I have always been the one who asks cash or prizes, tonight I finally got my prize!" 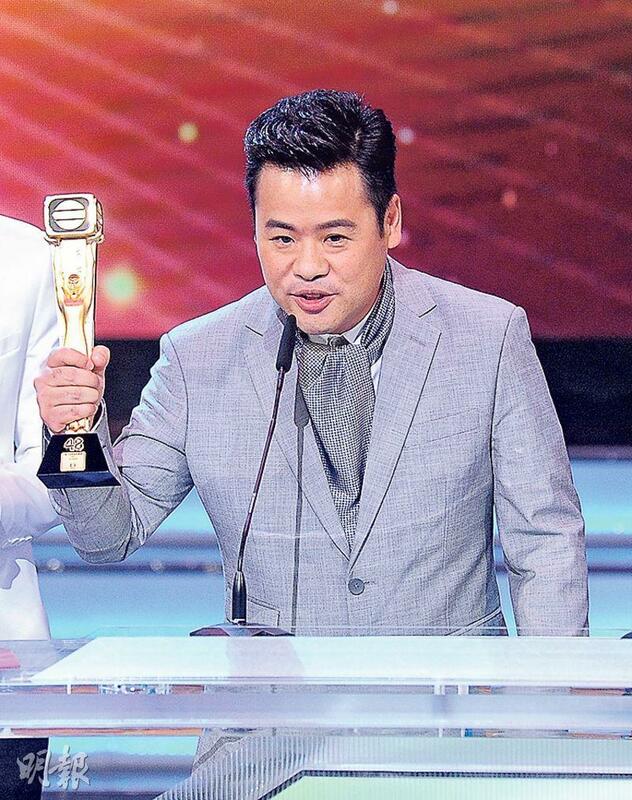 The TVB Anniversary Awards 2015 took place at the TVB Tseun Kwan O Television City last night. 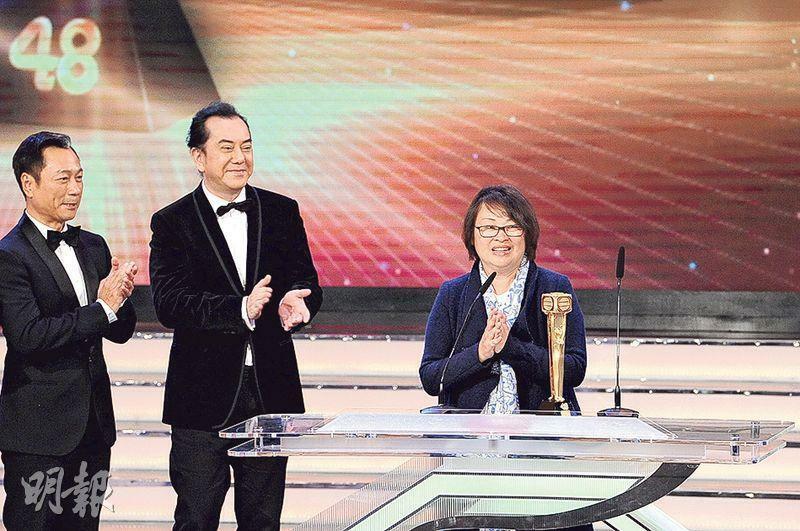 Best Actor Anthony Wong Chau Sun won another award with LORD OF SHANGHAI (HIU HUNG), Nancy Wu Ting Yan with GHOST OF RELATIVITY (GWAI TUNG NEI OT) won her first Best Actress. 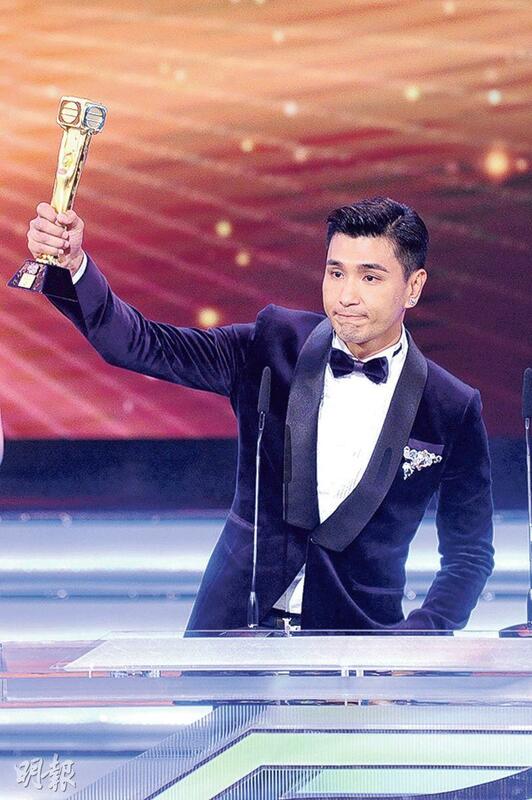 LORD OF SHANGHAI also won Best Drama and Best Supporting Actor to become this year's big winner. This year's newly added Most Popular Classic Drama went to THE GREED OF MAN (DAI SI DOI). 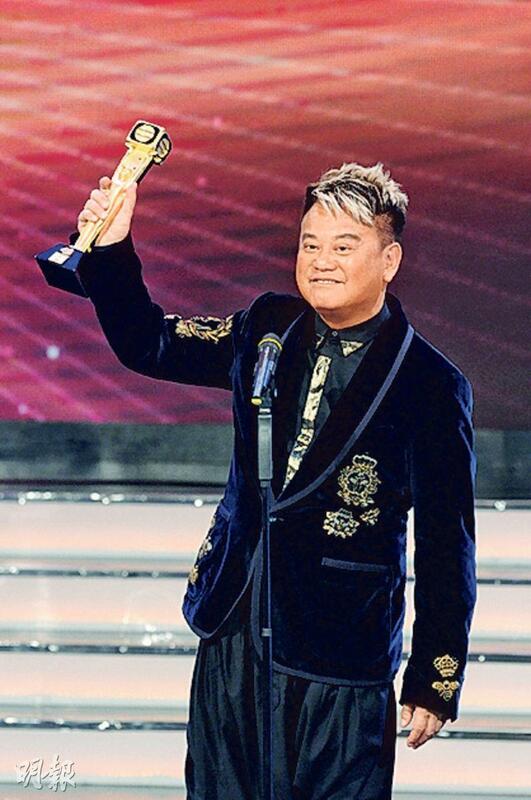 Chau Sun in his speech said that he felt very happy and would properly store the award in a case; he also said that the award reminded him of another award that was being auctioned off (referring to Anita Mui Yim Fong's being auctioned), which upset him very much. He hoped artists would respect every award they received because this was not as simple as personal effort, it represented the contributions of many people and should be properly cherished. He also hoped that performing artists would continue to fight hard for dignity and professionalism. When Ting Yan was announced as the Best Actress, she did not dare to believe it and was stunned for ten seconds before she was able to react. Then she succumbed to tears. On the stage she said as she cried, "I never thought about it. In my mind, Ah Jeh (Liza Wang Ming Chuen) and Ah Tin (Kristal Tin Yui Nei) are forever Best Actresses." She also said that her performance in GHOST still had a lot of room for improvement, and she promised when a new series would be made with the original team that she would play her character with 200% effort. 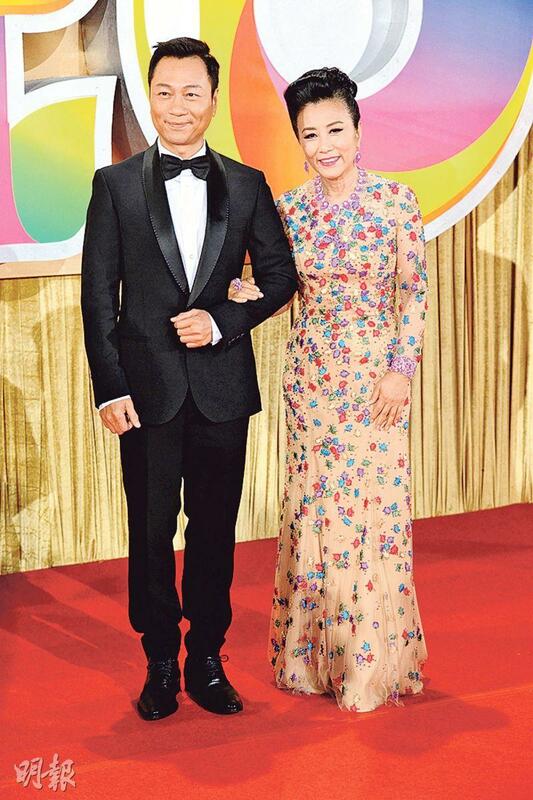 As for the Most Popular Television Characters, Ruco Chan Jin Peng and Tin Yui Nei won. Best Supporting Actor and Actress went to Willie Wai Ka Hung and Elaine Yiu Chi Ling. Wai Ka Hung on the stage said that something Wong Chau Sun said changed his life. Later he explained, "After the series aired, Chau Sun mentioned me and praised me to many media outlets and made people notice me. I also feel that my effort has not been wasted, so I am very appreciative of him. Chau Sun is an overachiever, I am very honored to have worked with him." 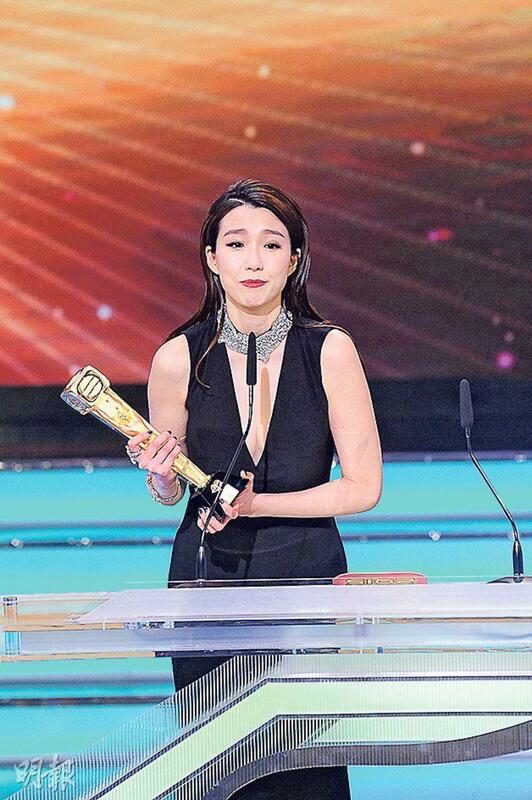 After winning Best Supporting Actress in Malaysia, Yiu Chi Ling heard that she won again and immediately broke down. She said, "I never thought about winning another award. (Why didn't you thank your boyfriend?) I asked him, he said I didn't have to. I will call him. (Will you announce your wedding?) I haven't thought about it, after the award I have to work even harder. I will worry about the wedding later." 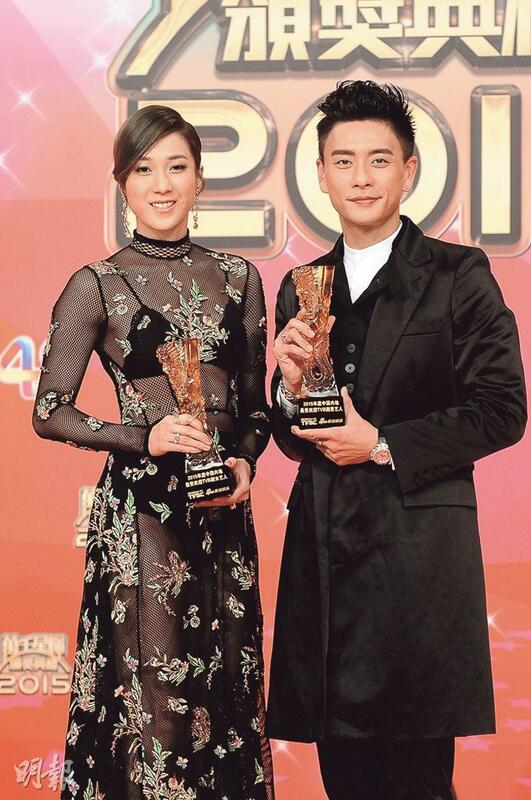 The Most Improved Male and Female Artists went to favorites Tony Hung Wing Sing and Grace Chan Hoi Lam. The event even arranged for Chau Sun who has criticized Chan Hoi Lam's acting before to present the award to her. She graciously shook Chau Sun's hand. In her speech she mentioned that her Mommy's sudden appearance moved her very much. She was teary eyed even when she went backstage. As for forgetting to thank her boyfriend, she explained, "Because I went over my time, I still have a lot of people to thank. After CAPTAIN OF DESTINY (CHEUNG BO JAI) aired I took a lot of hits, my boyfriend gave me a lot of encouragement. I hope to be able to have a late night snack with him to celebrate." Did receiving the award from Chau Sun felt like a sigh of relief? Chan Hoi Lam said, "I couldn't even imagine this, I am very grateful that everyone saw my effort. (Were you very nervous to see Chau Sun?) The whole thing made me nervous." 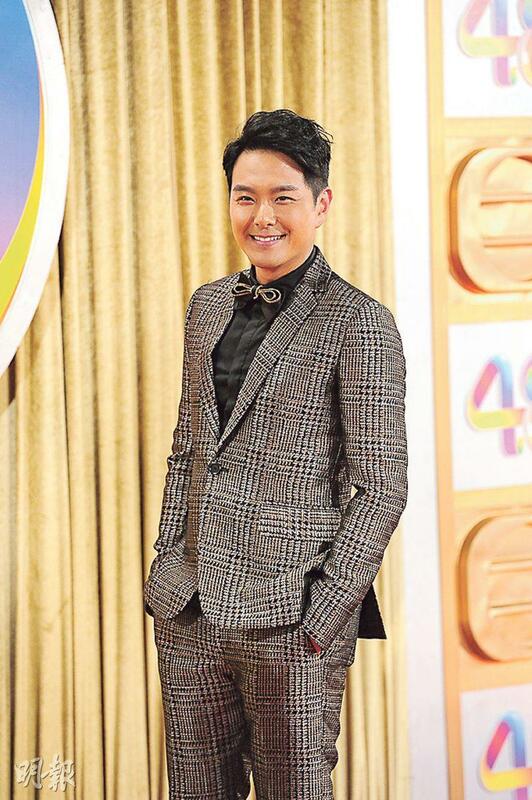 Hung Wing Sing received his award from his girlfriend Natalie Tong Sze Wing and publicly thanked his rumored rival Chan Jin Peng because he brought him into the drama world. He also remembered to publicly thank his girlfriend because he did not want to go home and kneel on glass as punishment. Backstage, Hung Sing Wing stated that he was very moved and touched on the stage. Receiving the award from his girlfriend was very special and very memorable. He also said that he really wanted to celebrate, but this morning he has to work at 6AM so he would go to bed with the award. As for deliberately thanking Jin Peng, Hung Wing Sing said, "He is too talented, he gave me a lot of inspiration so I have to thank him." The Lifetime Achievement Award went to Nat Chan Pak Cheung. He stated that unless TVB does not want him or gets knocked off, the chances of which were very slim, he would continue to work at TVB. On the red carpet before, Liza Wang Ming Chuen and Wayne Lai Yiu Cheung opened the show. Tin Yui Nei was paired with Moses Chan Ho. Ah Tin admitted that her dress was so tight that she almost could not breathe. Thus a week before she already did not dare to eat anything. Chan Ho has three children in three years, some said that he took some male enhancement food. He awkwardly laughed and said, "I don't know about that, I just drink coffee; but I don't how effective that is." Priscilla Wong Chui Yu and James Ng Yip Kwan walked the red carpet together. She was very happy that she did not have to walk with Hung Wing Sing. Hung Wing Sing's girlfriend Tong Sze Wing said that she did not dare to move too much before she wore nothing underneath her dress. As for rumors of her soon to be TVB exit, she clarified that she still had quite awhile on her contract with the company. When Chui Yu and Hung Wing Sing were interviewed, Sze Tong went to greet them. Chui Yu immediately removed her diamond ring to give to them and said that it was very suitable for them. They could not be more embarrassed. When reporters asked them for a photo together, Hung Wing Sing was reluctant to get close. During the shoot he claimed to be photobombing and looked very awkward.